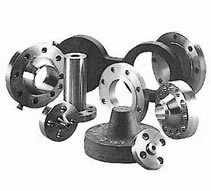 Carbon Steel Flanges - Marla Tube Fittings - Pipeline, Tube Fittings & Flange Stockholders. Flange types Weld Necks, Slip Ons, Blinds, Lap Joint, Socket Weld (up to 4”) offered in RF, FF and RTJ finish. Flange types Weld Necks, Slip Ons, Blinds, offered in RF, FF and RTJ finish.